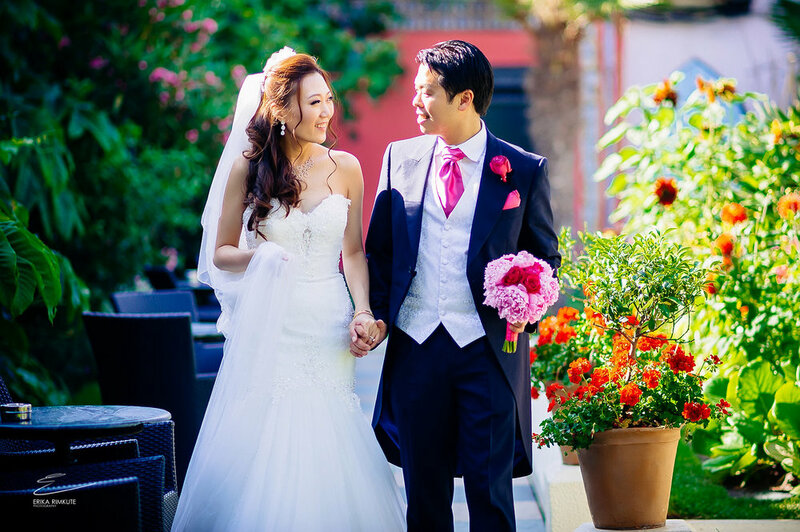 Yang & Wei-Yang’s wedding took place at the beautiful Kensington Roof Terrace Gardens. The day was split between an English wedding ceremony and a Chinese wedding tea ceremony. I arrived as Yang was getting ready for the wedding ceremony with her happy bridesmaids and parents. There were lots of laughs, happy smiles, a little bit of champagne and the gorgeous bride ready to leave in her stunning white gown. Wei-Yang was waiting in the ceremony room which was covered in peonies and roses. When the bride and her father stepped in, it was clear to see from the reaction of the onlooking family and guests what a special day this had become. Here is a couple photos from Yang & Wei-Yang’s big day!